Rachel is a skilled and insightful speaker who shares how we can create positive learning cultures for children in all stages of education. There are a wide range of topics covered, and can be tailored to the needs of each community. If you are a parent or an educator and are keen to bring Rachel in to your community to speak, please contact us. We’re happy to send you additional material to present to your decision makers. ARACY for their Lunchtime Learnings webinar series: How do we inspire and support children to achieve their best? No More Harm Conference Brisbane, QLD - Prevention and Restoration - How parents and schools working together can combat bullying. 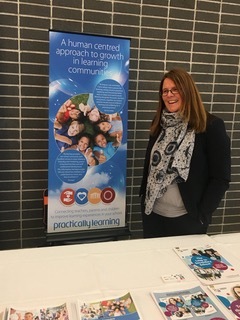 Broken Bay Parent Conference in Manly, New South Wales - Parent role in preparing children for the future workplace. Mercy College, Melbourne - Transitioning and supporting parents in secondary school - understanding your role. Sacred Heart Preston - Transitioning and supporting parents in primary school - understanding your role.